Borrow from international banks such as World Bank and Asian Development Bank. Debt and interest much be paid. Tax citizen of the country, using income-tax (part of people's earning) VAT (extra money paid when buying things or services), property tax(people with land and houses pay). Trade, industry, and investment, brings money from overseas, e.g. a multinational company could build a factory, goods can be exported, customs can be charged. Aid can be asked from other countries, but its used may be controlled by the donor country. Save money in a bank. Economic planning is a planning on how to earn money and spend it in a best possible way. Economic planning is essential for an organized development of a country. Without such a planning country does not have clear goals and methods to work towards development. Means and resources are utilized to their maximum. Social justice and regional balance can be maintained. Unlimited demands can be fulfilled in the priority basis. Expected goods can be achieved in a short time. Planning gives a specific direction to our economic growth. It is easier to maintain harmony between population and environment. Public participation can be encouraged and employment can be generated. Development projects are more successful and sustainable. 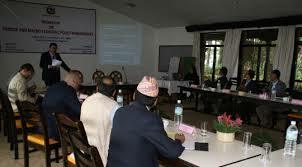 In Nepal planned development began with the implementation of the first 5-year plan in 2013 BS. The second and last plan was only limited to three-year plan. So far eleven different plans have been carried out. Generally, these plans were highly ambitious but implementation was not efficient so many of their targets could not be met. The government of less developed country has the responsibility of planning and controlling the economic development of the country. One way of doing this is a 5-year plan. The National Planning Commission is responsible for these. They must set their aims, what it is hoped to achieve in the following 5 years, and they must decide how the aims can be achieved. The tenth plan completed in 2007 AD. Then, was running the 3-year Interim Plan. If you are very poor, it is very difficult to start being productive, because tools and raw materials need to be bought. Also, working alone, there is not enough labor. Traditionally, Nepali people have formed small groups to help each other, and now all over the developing world small groups of 5-25 people are joining together and borrowing micro-credit. The actual details were varying from place to place but the basic method is similar. Second plan (2019-2022)-Three year plan. To let people directly positive change in the living standard by reducing the existing economic and human poverty prevalent in our country. Enhances access to social services and improve the use quality of those services. Tax citizen of the country, using income-tax (part of people’s earning) VAT (extra money paid when buying things or services), property tax(people with land and houses pay). Trade, industry and investment, brings money from overseas, e.g. a multinational company could build a factory, goods can be exported, customs can be charged. In Nepal planned development began with the implementation of the first 5-year plan in 2013 BS. Why does a company from country 'X' build a factory in country 'Y'? What advantages and disadvantages are there for country 'Y'. The company from country 'X' build a factory in country 'Y' to make the country 'Y' more stable and make a friendly relation with the country. Building a factory also benefits the country 'X' as investor will have full control over the company. The advantages and disadvantages are as follows. Access to resources of country 'X'. Reduces cost of production for country Y. What are the advantages of economic planning? Create potential to mobilize the economic resources effectively and quickly. Ability to execute salient massive projects, attain significant social goals and crate industrial resources and power. Override the self interest of every individual. Transforming the vision of a certain country. Social justice and regional balance is given. Easier to maintain harmony between population and employment can be generated. Economic planning is the making of major economic decisions- what and how much is to be produced and to whom it is to be allocated being based on the comprehensive economic survey. Write down, in six lines, the achievements of economic planning in the past. Till the 5th plan, the construction of infrastructure was given special priority. The 6th and 7th plans had emphasis on the minimum basis needs of the people. Though much work has to be done to raise the living standard of the people, remarkable progress has been achieved in education health, development, extension of foreign trade and industries based on agriculture, etc. But the most serious concern for us is that more than 40%of Nepalese still live below the poverty line. Write any eight tips for successful economy planning. How to set the objective, priority, policy, programme, resources, etc. of the planning? How to have social justice and regional balance? How to provide benefit to the people of not only the urban areas but also of the remote areas? How to develop agricultural, economic and social sectors? Should we take more loans? Won"t it be better if we utilize our resources and materials and reduce our dependence upon other countries? Should we establish industries or should the foreigners have their right too? How to increase the GNP by using manpower, natural resources, flora and fauna and other materials? Each five year plan of Nepal has failed to achieve its goals. Why? Give any four reasons. Lack of infrastructures of development. Which commission is responsible for periodic planning? 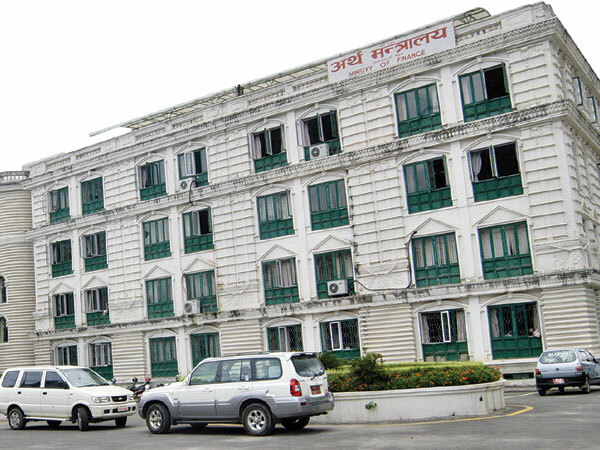 what was the per capital incom of nepal at the start of the current period plan? hoe much is it now? Long term vision of the current economic planning? How does plan benefit to a country's development? Any Questions on 'Economic Planning '?